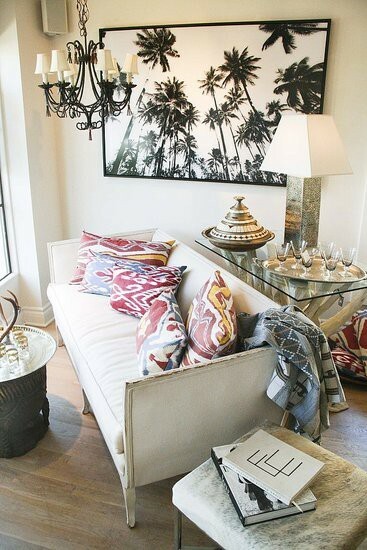 I'm surprised to see how the Ikat design is making a big impact on modern Interiors today as it's not a design I thought would be easy to live with. 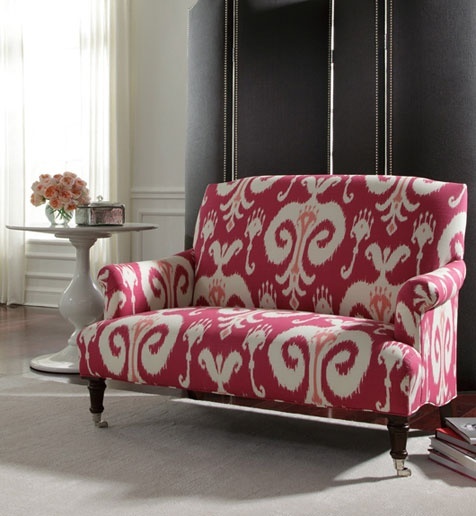 Traditional Ikat is dark red in colour but the new trends have turned this traditional design into a modern contemporary look in a range of colours. 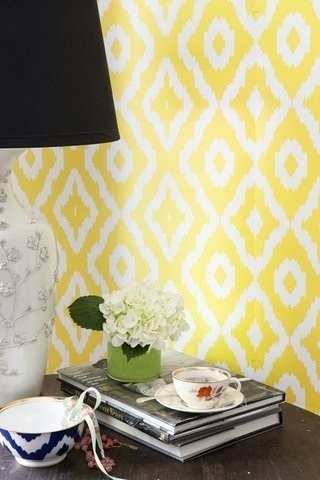 As you can see from the images below, Ikat can be used to accent the contemporary or classic home. 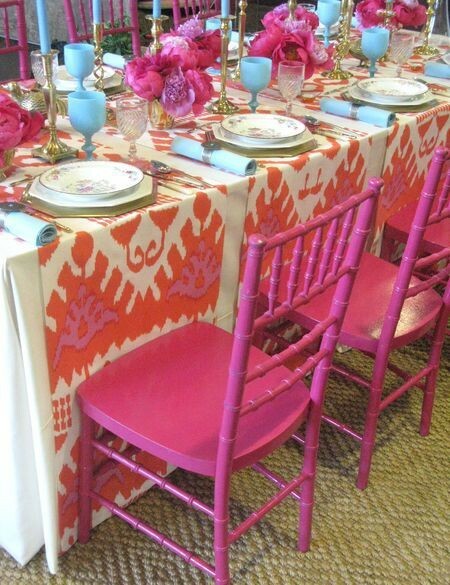 Ikat is a traditional Malay/Indonesian design. 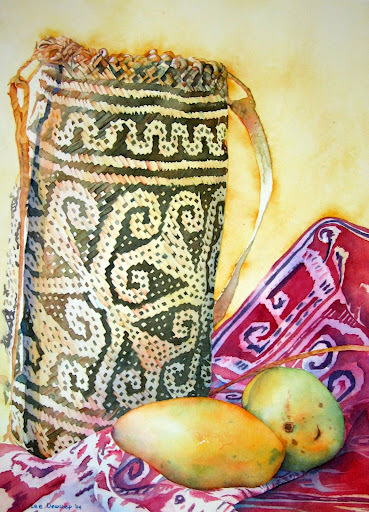 I bought a very old piece of woven Ikat when I lived in Borneo to use in a painting of a still life, along with an Iban basket and Mangoes. 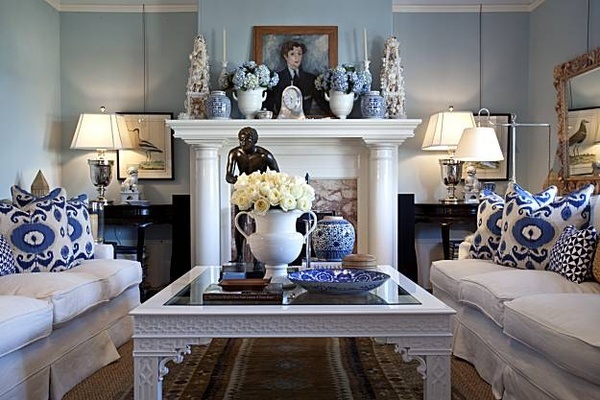 or on my easel at the moment please click "here"
I love this post, Ikat is one of my favorites, simple adds a punch of color and style to differet interiors. Your watercolor is magnificent, I love it! My daughter recently made a pillow cover from yellow fabric like the one you posted here, and it brightened and updated her whole room. 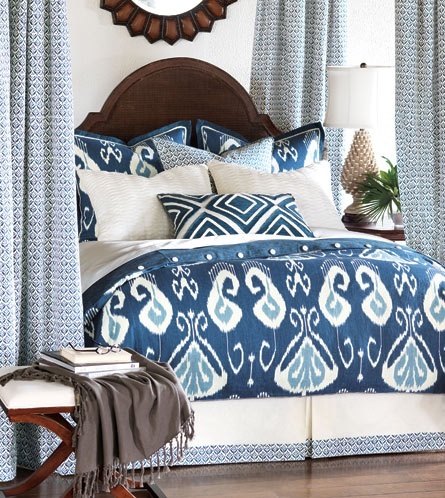 It's a contemporary take on a timeless print. Beautiful.